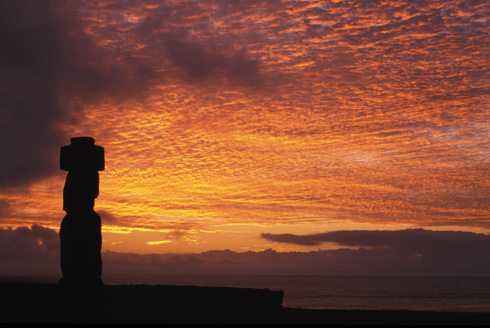 The Easter Island, also called Rapa Nui by the local people, is located 3800 Kilometers off the coast in the Pacific ocean. 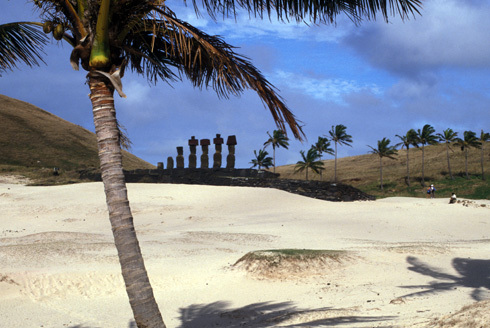 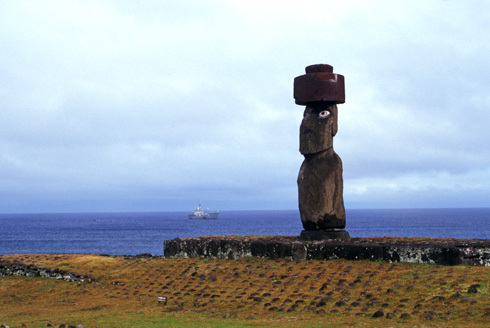 The most isolated inhabited island in the world is world famous for its up to six meters high stone figures called MOAI, which were built by the coast with their backs facing the sea. 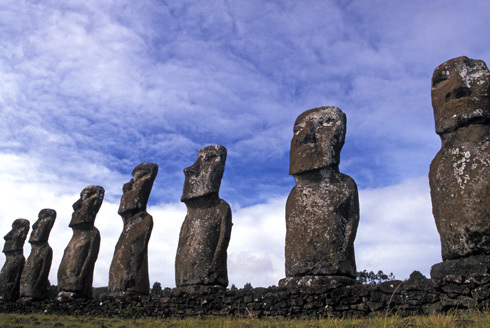 Their origin still remains a mystery. 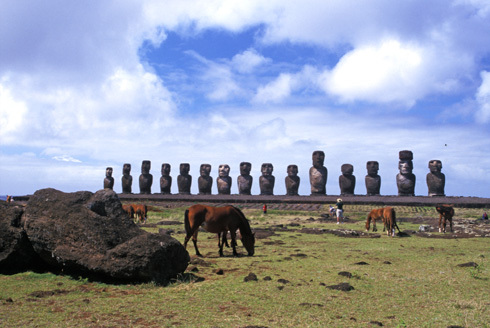 Up to today it has not been revealed how the natives were able to move the up to 200 ton colossi and to them set up. 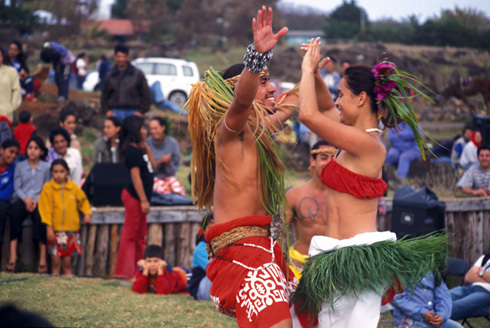 Each year thousands of travelers are attracted by the sensual dances and the enchanting sounds of Polynesian music and language. 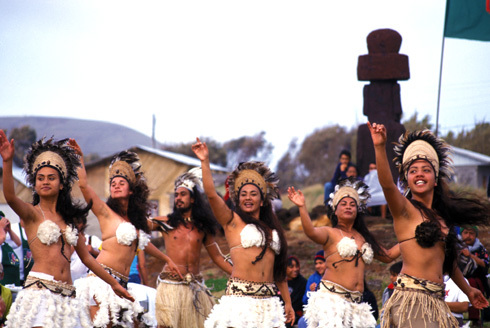 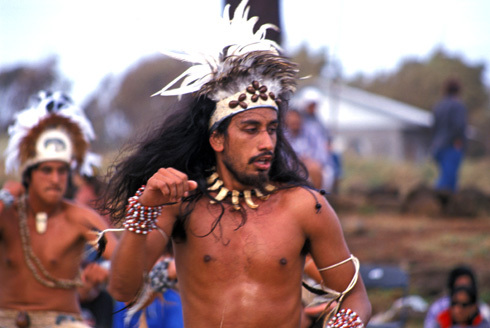 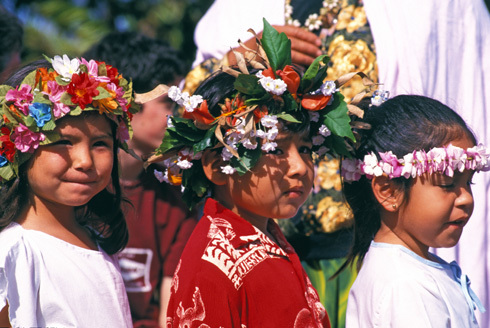 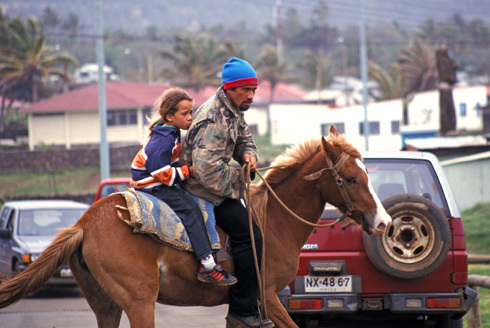 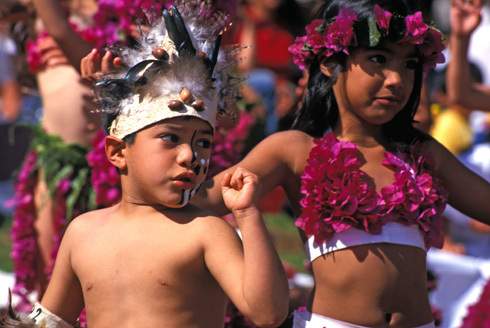 A visit to the island is worth all year round but it is especially recommendable in early February to the Tapati Festival when the islanders revive traditional rites, competitions and dances. 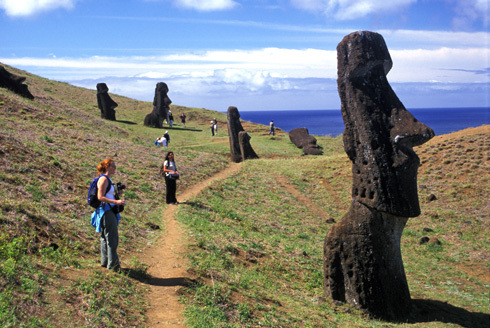 Trip to the crater of the volcano Rano Raraku, the "MOAI factory"